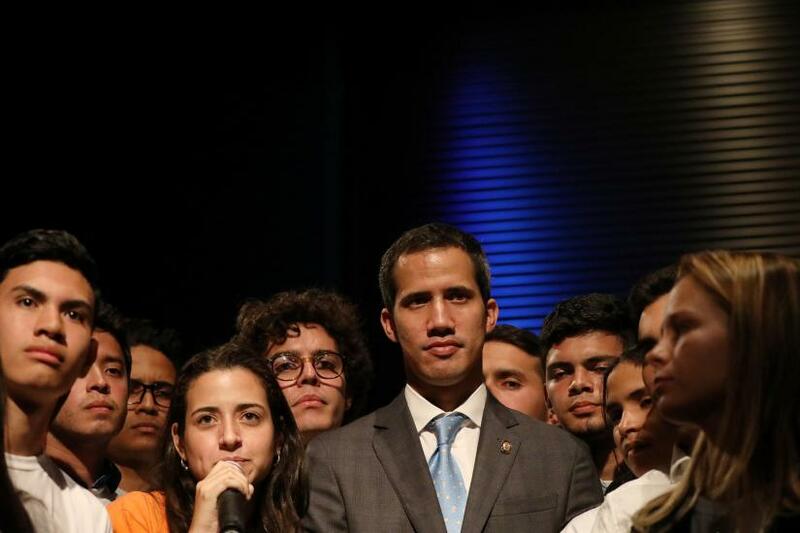 The rallies occurred nearly three weeks to the day that opposition leader Juan Guaido invoked a constitutional provision to assume the presidency, arguing that Maduro's re-election last year was a sham. 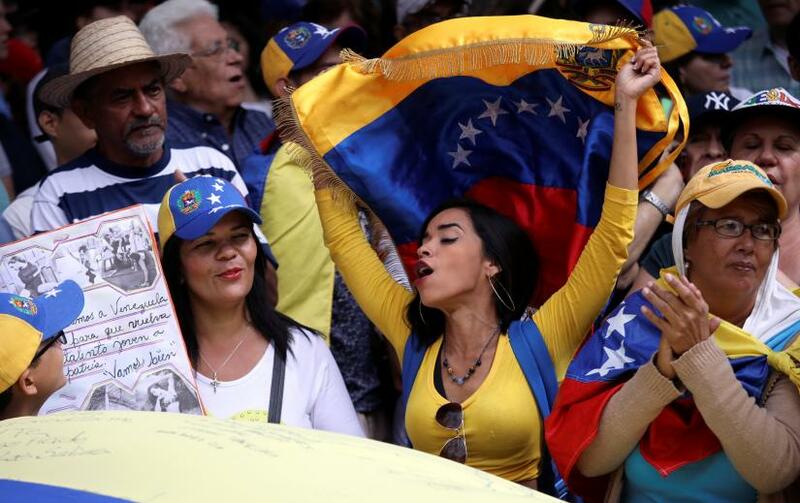 Most Western counties including the United States have recognized Guaido as Venezuela's president, but Maduro retains the backing of Russia and China as well as control of state institutions including the military. The sides are at loggerheads over the humanitarian aid. 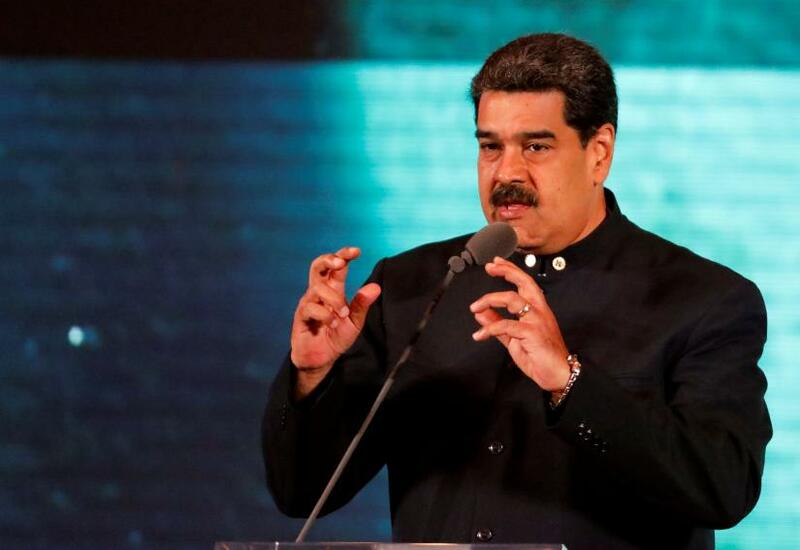 The opposition says the U.S.-backed aid including food and medicine is needed due to Maduro's mishandling of the once-buoyant OPEC nation's economy, and they are working to get it delivered. "They have to let the aid in because people are dying from lack of medicine," said 72-year-old Armida Quintana, who stood on a plastic stool to see above crowds of thousands, many wearing Venezuelan flags as capes. "Little by little we have convinced everyone that Maduro is an impostor and a tyrant." "The Ku Klux Klan governing the White House today wants to take possession of Venezuela," Maduro said in an interview with the BBC. "Venezuela is not a country of famine. In the west, Venezuela's situation is distorted to justify any sort of intervention." Maduro's critics had staged two major rounds of protests, the last in 2017, against what they call his dictatorship, but they subsided in the wake of a government crackdown. 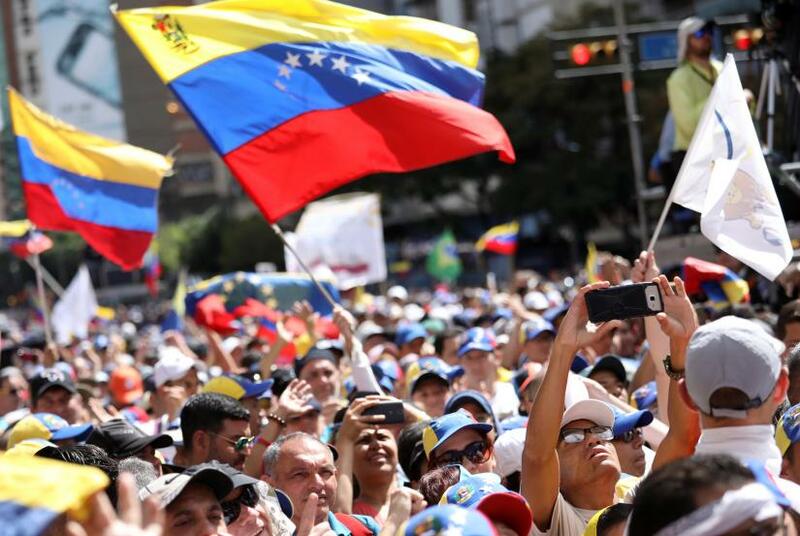 The current wave kicked off on Jan. 23, with a massive protest in Caracas during which Guaido was sworn in as president in front of thousands of supporters. The ruling Socialists, who have been in power for two decades, rallied in Caracas on Tuesday to "demand respect of the fatherland's sovereignty." A few thousand people gathered, including many state employees, holding "Defend the Country" banners. "We are here supporting the revolution. We're against the invasion the gringos want to launch here," said Marcos Velasquez, a 32-year-old Food Ministry employee. Maduro's adversaries say he has run roughshod over democratic institutions and ravaged the nation's economy through nationalizations and a corruption-riddled exchange control system. Maduro counters that he is victim of an "economic war."